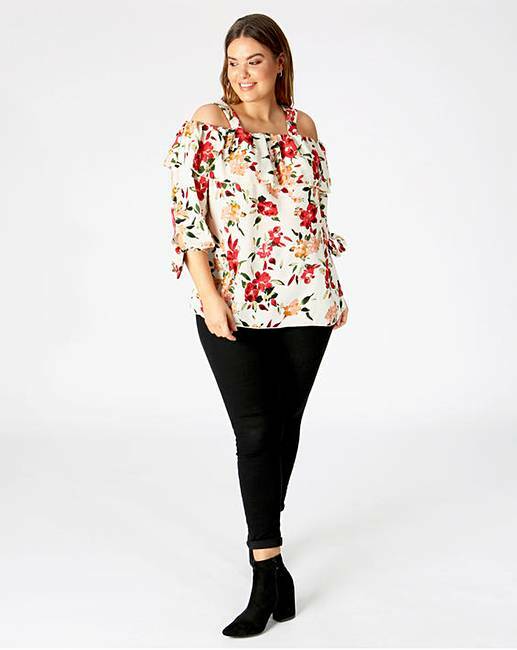 Update your wardrobe for spring/summer with this lightweight crepe Bardot blouse. 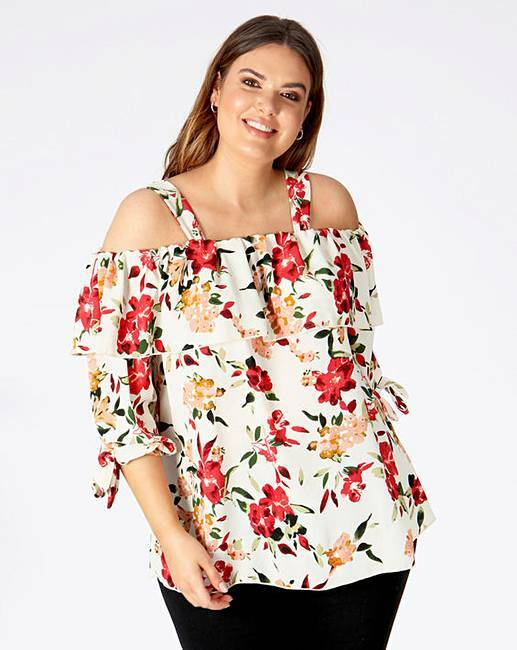 With wide straps and elasticated neckline to keep this off-the-shoulder style in place, this blouse also features a deep frill trim and long sleeves with bow cuffs. 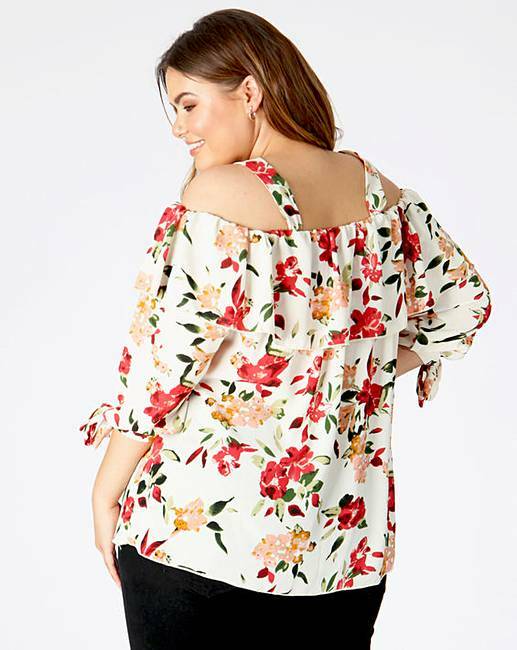 The floral print comes in shades of red and pink on an ivory background. 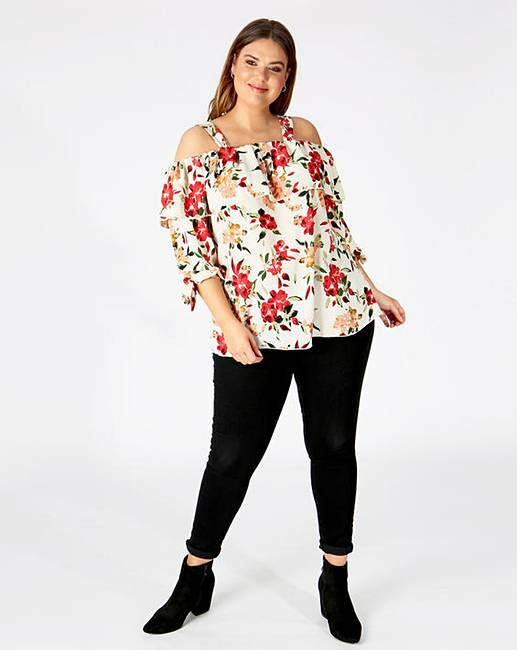 Team with skinny jeans for an effortlessly chic weekend look.